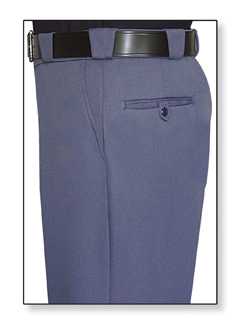 Flying Cross 55/45 Poly/ Wool Dress Pant- French Blue | 100268, FLYING CROSS, Flying Cross 55/45 Poly/ Wool Dress Pant- French Blue | McDonald Uniforms, Inc. FLYING CROSS UTILIZES THE LATEST TECHNOLOGY INCLUDING SOFTWARE DESIGNED FOR PATTERN & CUTTING PRECISION AND THAT TRANSLATES INTO CONSISTENTLY DEPENDABLE FIT FOR CUSTOMERS. 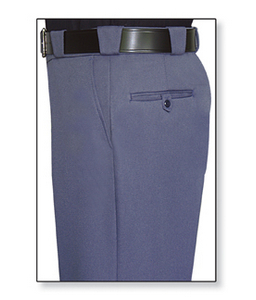 THE 55/45 POLYESTER/ WOOL TROUSERS INCLUDE QUARTER TOP POCKETS, KEYSTONE BELT LOOPS, ANDTAB LEFT HIP POCKET.